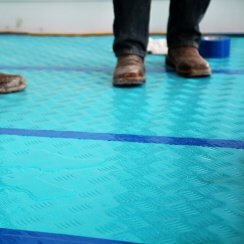 Trimaco’s heavy duty seam tapes are the perfect sealing solution for a wide variety of surface protection products. From temporary tape to permanent tape, we have the product you need to seam, seal, bind and protect. 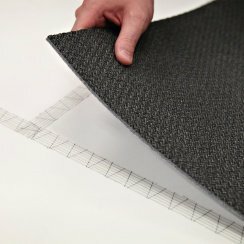 Our double sided scrim adhesive tapes are best used for adhering carpet and flooring. This 3″ tape covers FloorShell seams quickly and easily. This 2″ tape covers X•Board seams quickly and easily. Superior strength tape for Aqua Shield seams. 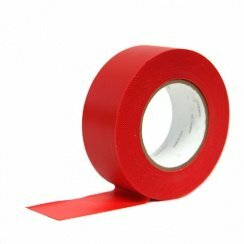 Rubber backed adhesive tape is great for seaming together surface protection products. 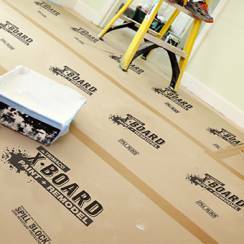 Tape is ideal for permanently adhering flooring, molding, trim and baseboards.